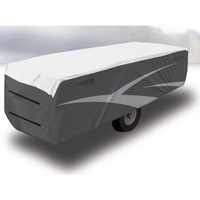 If your pop top caravan is about to spend a lengthy off-season in the parking lot, this ADCO cover will put an end to all your storage woes. 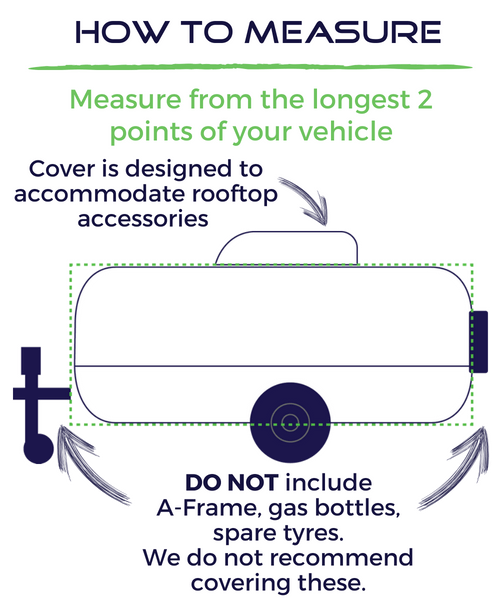 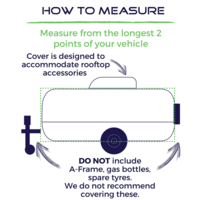 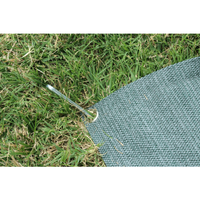 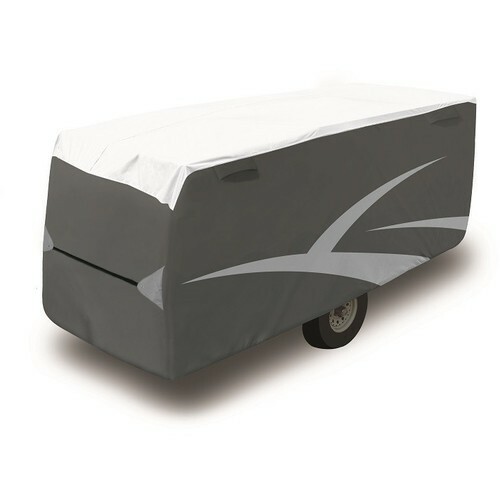 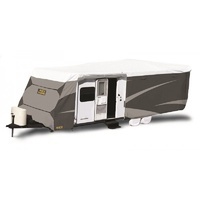 Designed for large pop-tops measuring between 18 and 20 feet in length, this cover is compatible with a wide range of caravan makes and models. 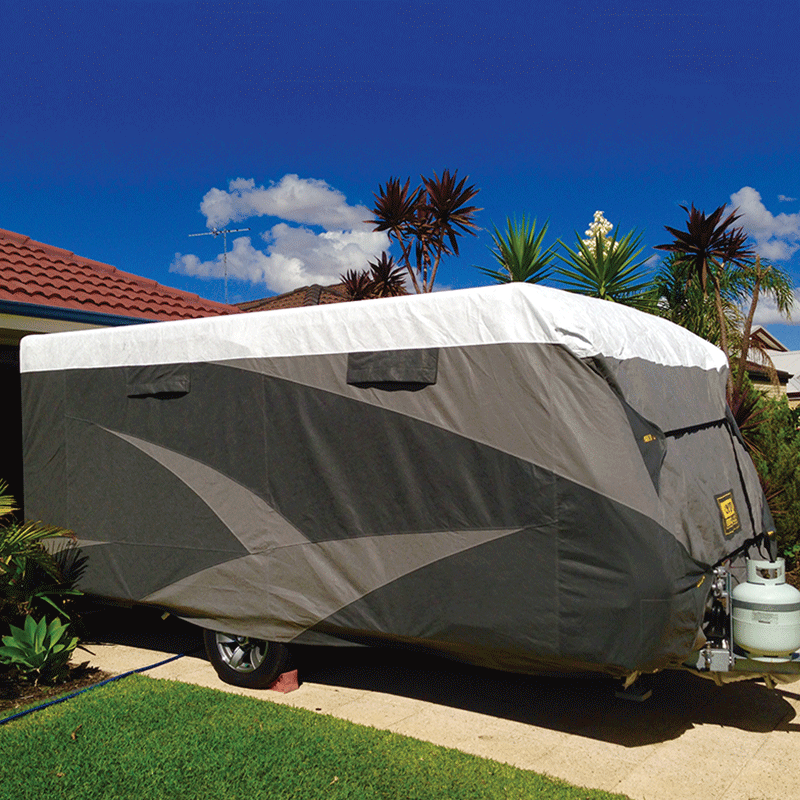 Its intelligent and practical design allows it to cover your pop-top snugly, without billowing or flapping. 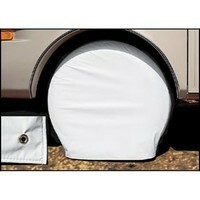 To this end, it comes with convenient features including a cinching mechanism for loose fabric. 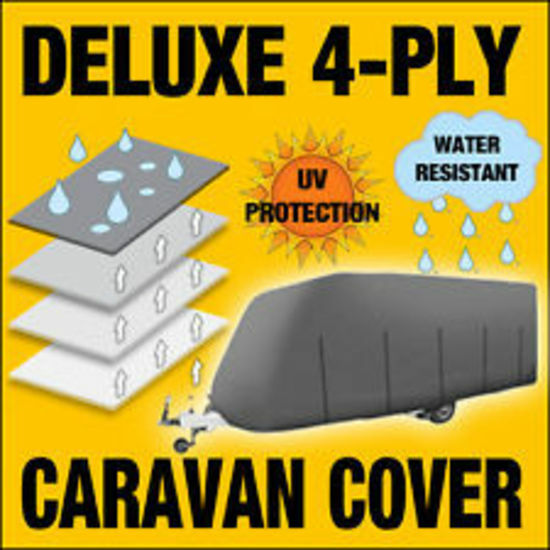 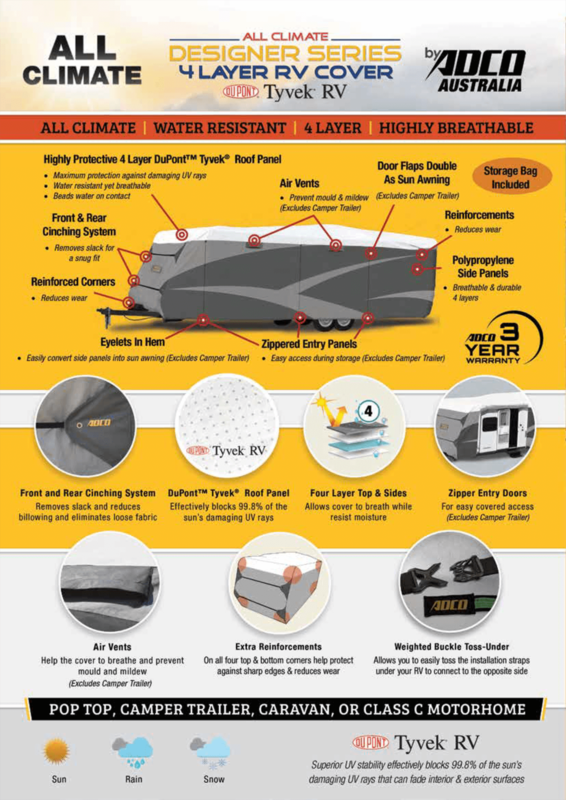 The all-weather design of the cover is equipped to face the harshest of climatic conditions, from intense sunlight, and rain, to simply extended periods of storage. 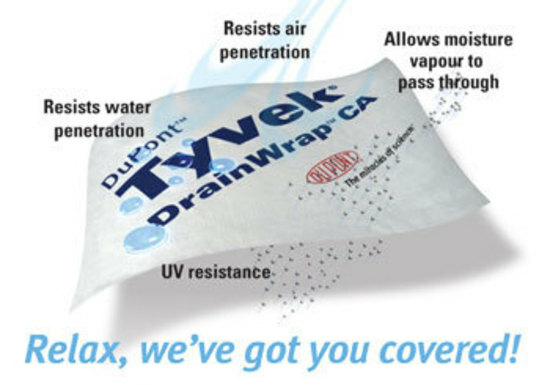 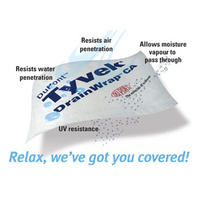 A 4-layered Dupont Tyvek top panel beads water on contact and repels harmful UV rays, while preventing condensation or mould growth beneath the surface. 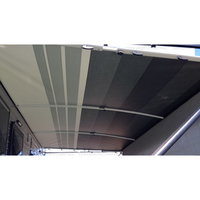 It is assisted by polypropylene panels on all sides. 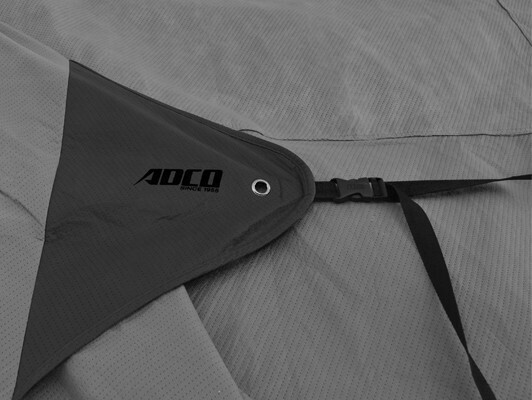 Air vents further contribute to the breathable design of this ADCO pop-top cover. Designed for easy installation, the cover is also reinforced at the corners to prevent tears and snags, and even comes with an access door on the side panel to allow you to gain access to your pop top during storage. 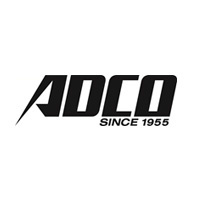 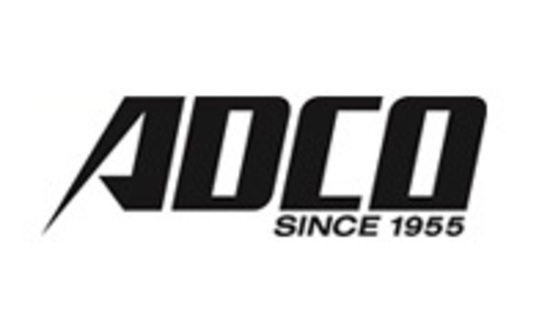 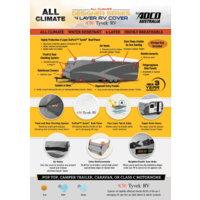 The cover comes with a 3 year manufacturer’s warranty and sports a sophisticated modern look..
We purchased this ADCO cover for our van and are happy with it so far. 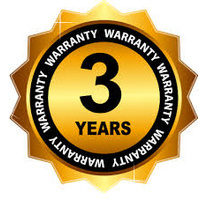 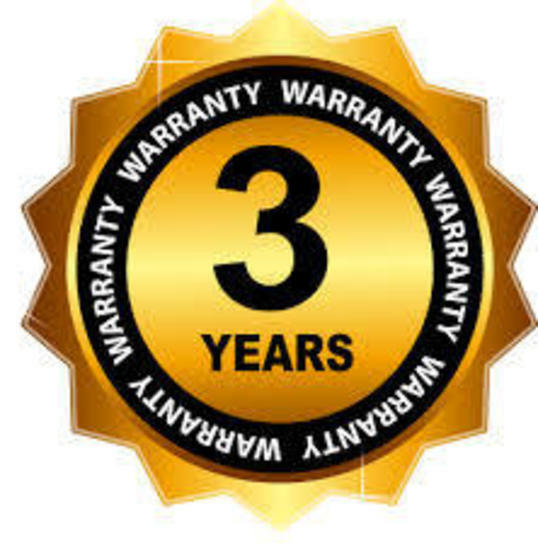 Good warranty and fast delivery. 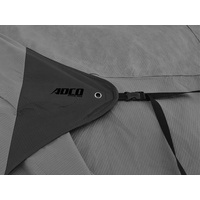 Very happy so far with my ADCO caravan cover. 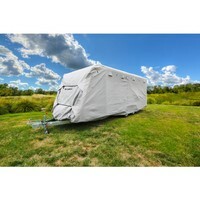 It is early days but it fits well and was easy to put on. 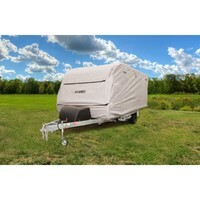 Delivery was excellent and caravan RV camping excellent to deal with. 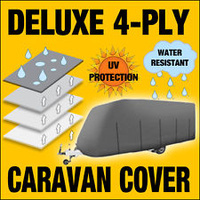 Thanks Brad for all your help with the caravan cover, easy ordering and parcel turned up on time in a view days as promised.